How to Protect Your Company against Major Problems? Data loss in a company very often results in temporary downtime while the information is recovered. In more serious cases, it may cost you your customers’ loyalty, be detrimental to your reputation, or even prompt prospective customers to look for other service providers. 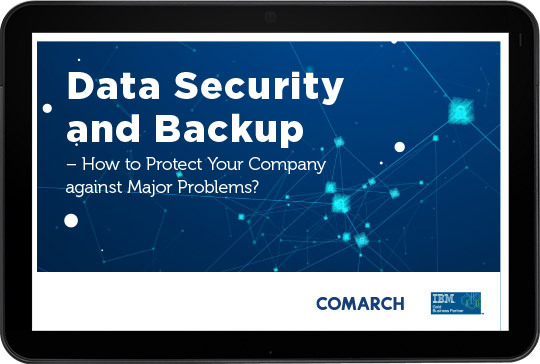 GDPR and backup: what do you have to remember. By submitting this form, you give us access to your personal data.Read about: The processing of your data by companies of the Comarch Group and your rights as the data subject.